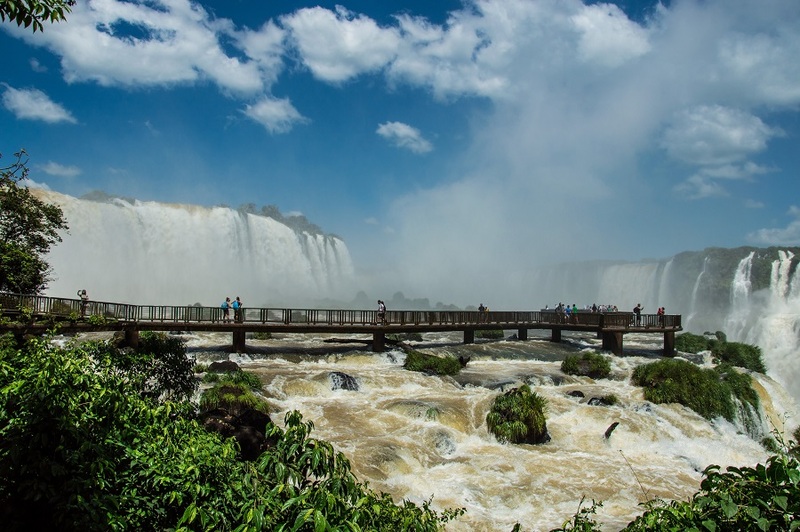 As the urban legend goes, Eleanor Roosevelt exclaimed “Poor Niagara!” when she first saw Iguazu Falls. The moment you find yourself, as tiny as an ant, at the foot of the mighty falling waters, you might not be able to utter even these words. 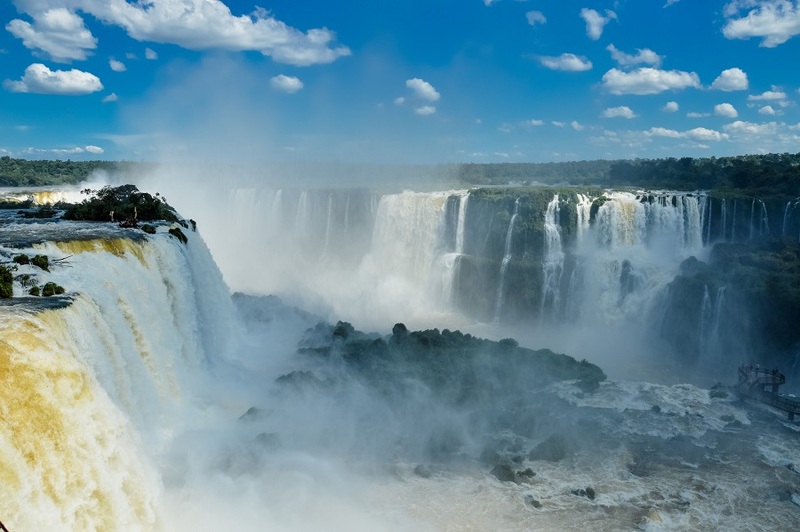 What’s the legend of Iguazu Falls? When the Guarani people gave the name to the falls, they weren’t really being poetic – in their language, the name simply means “Big Water”. Far more romantic is the legend of how the waterfalls were created. One of the gods fell in love with a local girl, but she didn’t fall for him. Instead, she impertinently decided to sail away with her human love. As we know, declining a god’s offer is always a bad idea, and so it turned out. The infuriated god cut the river they were sailing along in half, thus dooming them to an eternity spent ‘falling’. 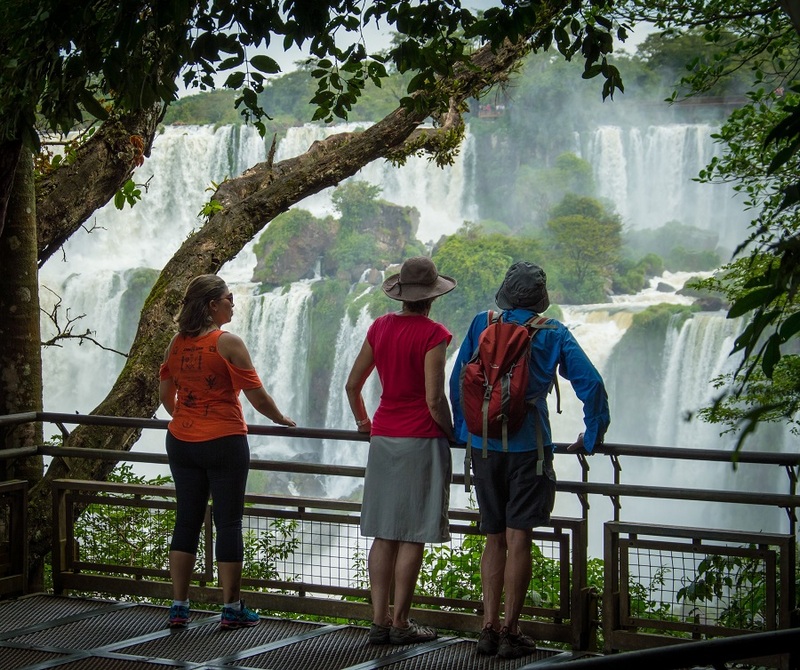 What’s the best part of Iguazu Falls? Iguazu Falls consists of 150 to 300 separate waterfalls depending on the rainfall and the season. Ask 100 visitors which is the best of all the falls and 98 will answer the Devil’s Throat (Garganta del Diablo). 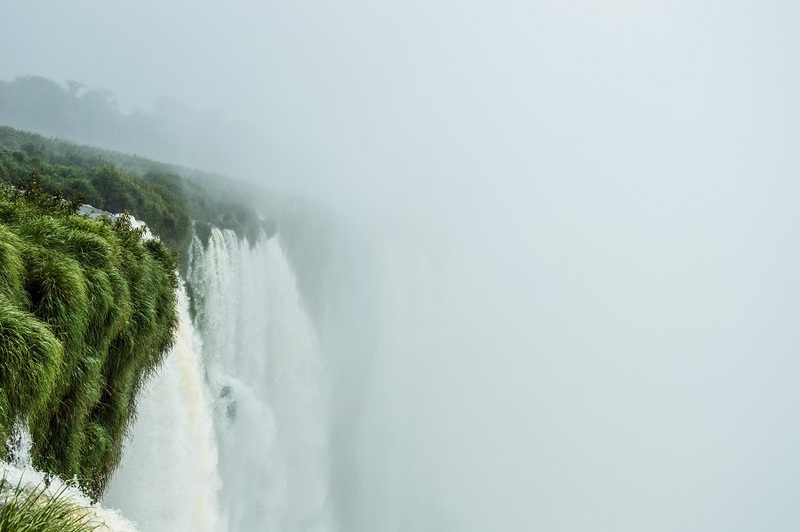 This is the mightiest of all waterfalls, which you will see both from its foot (Brazilian side) and from its verge (Argentinian side). Ticket for the national park: R$62 for adults, R$10 for children from 2 to 11 years old (as of January 2018). Grab a free map of the park at the entrance. Transportation: Public bus 120 takes you from the center of the town of Foz do Iguaçu to the entrance of the national park, stopping at the airport on the way. Inside the park, you can take the park bus (free of charge). Food and water: There are food and drink venues in the park but they are quite overpriced, so it’s a good idea to bring your own food. What else: Next to the entrance of the national park, there’s a bird park called Parque das Aves (entrance fee: R$45 for adults, open every day from 8:30 am to 5 pm). Some of the birds live completely free and you can enjoy close contact with them. The park was created as a shelter for abused animals and many of the birds you will see were saved from smugglers. Prepare to meet parrots, toucans, butterflies and even colibris. Official website of National Park Iguaçu: here. Ticket for the national park: 500 pesos for adults, 130 pesos for children from 6 to 12 years old. If you want to visit the park for a second day in a row, you should stop at the ticket office when leaving on the first day to get your ticket validated and receive a 50% discount for the ticket on the next day. Transportation: There’s a regular bus from the center of Puerto Iguazú to the entrance of the national park. Inside the park there’s a free train, for which you’ll probably have to wait in line for more than an hour. Bring a book to kill the time. Time needed: At least one day, but better two. 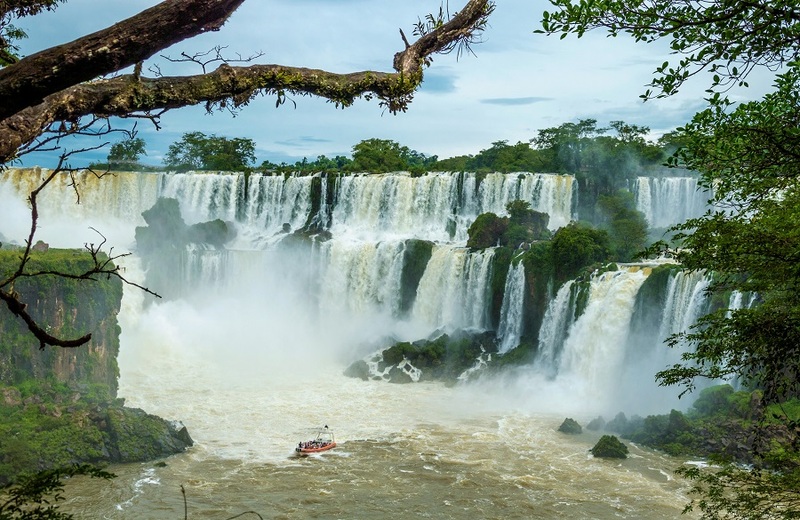 The Argentinian side has many more trails where you can see various falls from various angles. The Upper Circle (Circuito Superior) is a short trail from where you will see the upper fringe of the waterfalls. The Lower Circle (Circuito Inferior) is longer and passes by the foot of several falls. It’s a good idea to wear a bathing suit or a raincoat because you are inevitably going to get wet. The trail will also take you to the port from where the free ferry to San Martin Island leaves (although the ferry doesn’t operate during bad weather). San Martin Island (Isla San Martin) has two observation decks and is only accessible via the free ferry. The ferry won’t sail if the water is high. Check at the entrance of the park for the current conditions. Food and water: As with the Brazilian side, there are food and beverage venues in the park, but they are quite overpriced. It’s a good idea to bring your own food. Official website of National Park Iguazu: here. 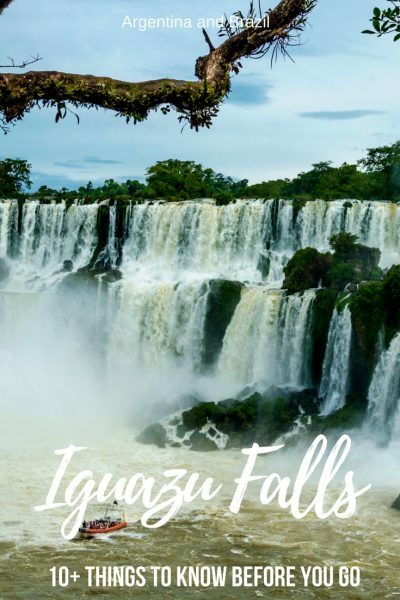 Where to stay: Foz do Iguaçu (Brazil) or Puerto Iguazú (Argentina)? 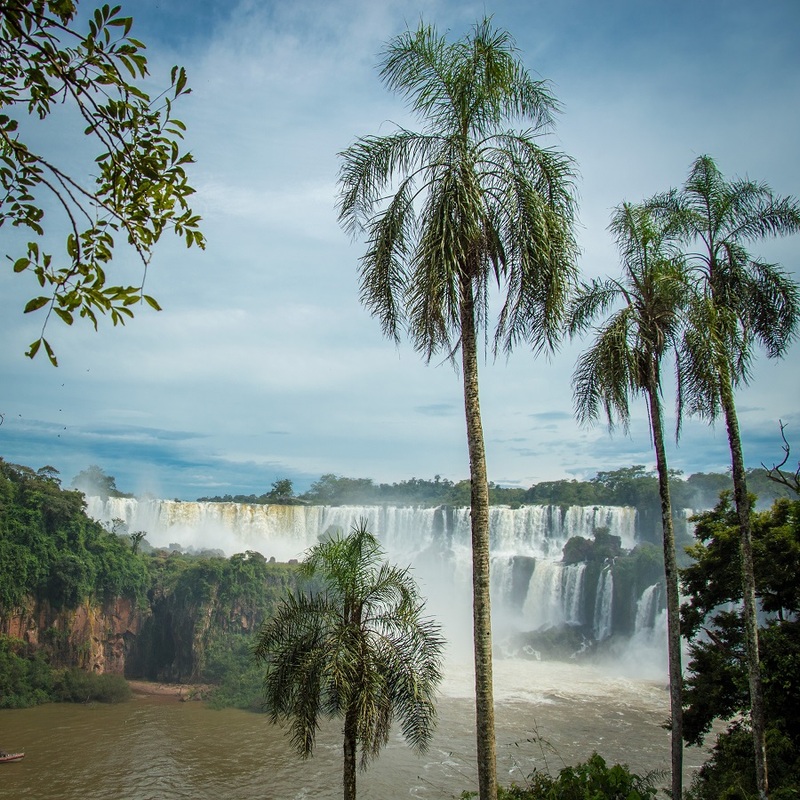 Foz do Iguaçu is a calmer, sleepy town, while Puerto Iguazú is smaller but has more entertainment options. Both towns have airports and are connected to the other parts of their respective countries by buses. There are regular buses, taxis and vans running between the two towns. 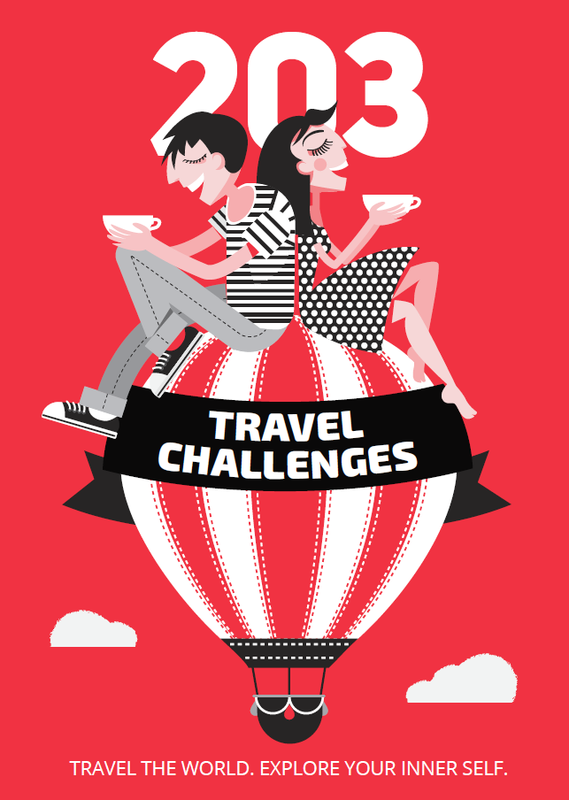 The visa regime is standard, so you will need two visas – one for Brazil and one for Argentina. 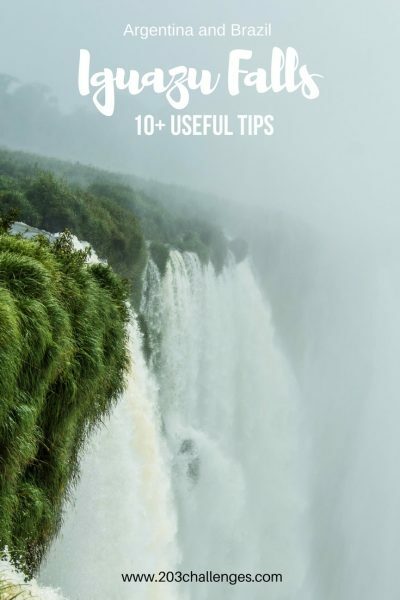 The essential supplies are: a lot of water, sunscreen (take plenty with you, as you’ll need to reapply it after getting wet from the waterfalls), a waterproof case for your phone or camera, mosquito repellent and plenty of food. If you bring food in your backpack, you should be very wary of the local coati population. These small but super-strong jungle animals – relatives of raccoons – want your sandwich and are ready to bite or scratch you to get it. They can carry rabies, so you should visit a doctor immediately if you get attacked. 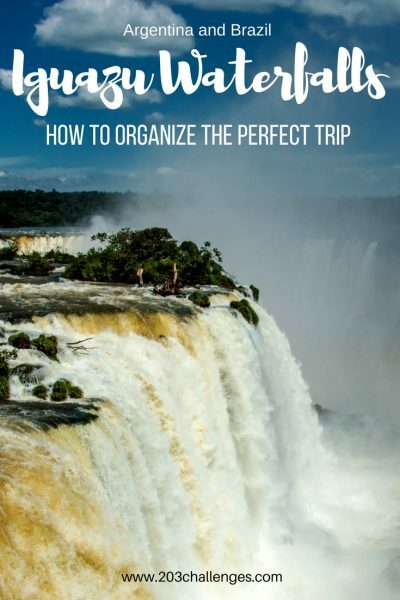 The Iguazu Falls look totally epic and are definitely on my bucket list! Is it possible to view both sides? Ie can you see the Brazilian side and then pop across to the Argentina side? And which would you say is the best? From the pictures it looks like the Brazilian side?